How should we process sexual harassment allegations when no specific allegations are public? How Should We Process Sexual Harassment Allegations When No Specific Allegations Have Been Made Public? 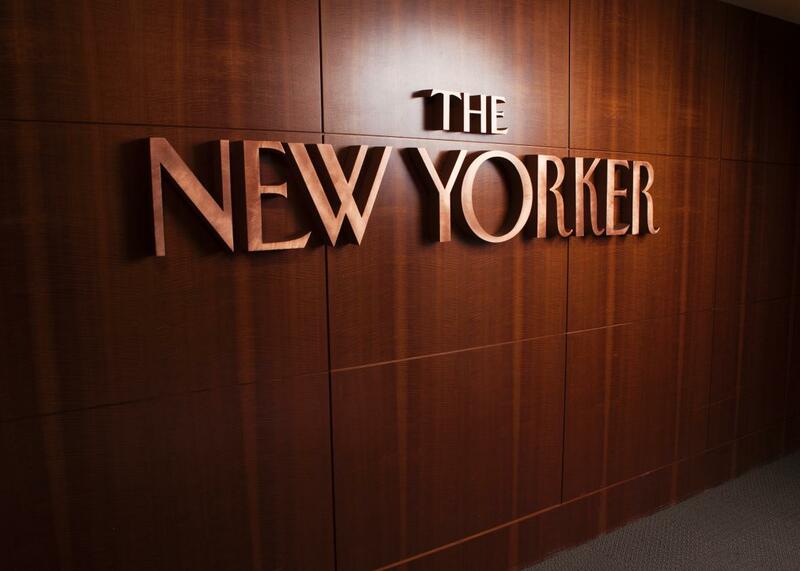 This week, The New Yorker announced that it had fired Ryan Lizza. And down goes another a$$hole. #ImDangerouslyLowOn sympathy for Ryan Lizza & his ilk. Improper sexual contact & horseshit, sexist AF coverage of 2016 election makes sense now. Here’s the thing about statements like Ryan Lizza’s or the fact Jeremy Piven passed a lie detector test: They’re not lying. THEY DON’T THINK WHAT THEY DID WAS WRONG. That’s the issue right. By this point, the list of disgraced men is so long that it’s hard to keep up with each individual story after the first dramatic revelation. It’s natural to simply shift the man from one category to another in one’s mental Rolodex, from public professional to known scoundrel. Here I should emphasize again that roughly 48 hours have passed since Lizza was let go. But here’s what we have so far: an abruptly announced firing, pushback from the accused, an anonymous accuser’s pushback to the pushback. The specifics of the actual incident—incidents?—are a complete mystery so far other than the fact that they are sexual in nature. Lizza had been quiet on social media recently, prompting speculation that the investigation had been developing behind closed doors for at least a few weeks. There’s no reason to think he didn’t do something very, very bad. But what happens when the rightful mantra believe women collides with a situation in which there are not yet women to believe? It can feel prurient, even violating, to want to know more details after the ritual disgrace by press release. Women who have been victimized by sexual harassers and abusers still face a panoply of negative consequences for coming forward publicly, and they obviously should not need to do so in order for their stories to be taken seriously. In the absence of even anonymous on-the-record accusations, though, the public has only two voices to listen to: the accused and his employer. The vast majority of this year’s male downfalls have come with sickeningly precise accusations, thanks to brave women, meticulous journalists, and dogged lawyers. But not all of them. It has been two weeks, for example, since Prairie Home Companion founder and longtime host Garrison Keillor was set loose by Minnesota Public Radio for what the station called “inappropriate behavior with an individual who worked with him.” The station canceled his current show, Writer’s Almanac, and said it would rename Prairie Home Companion, which has been hosted by someone else in the year since Keillor’s voluntary retirement. The Washington Post killed his column there, and his upcoming live performances were canceled. It’s not quite right to say Keillor “lost everything,” but he has lost his daily work, and his reputation has been shredded. My own assumption is that there is very likely more to Lizza’s and Keillor’s stories—that they involve more than an errant hand on a bare back or a “respectful relationship” gone awry. It’s not like we don’t know anything—we know that women are saying these men behaved poorly. We know that the men claim the interactions weren’t a big deal but that the women felt they were big enough deals to hire lawyers. We know company leadership felt they were big enough deals to fire some of their biggest, baddest, money-makingest talent. And one of the most important lessons of the past few months has been the fact that institutions have historically been sickeningly slow to eject bad actors seen as valuable talents. This also means institutions have an extremely poor track record on these matters. They have expressed bad judgment over and over, preserving their own reputations at the cost of fairness and justice. It seems foolhardy to trust them categorically now, simply because the national mood has started to shift in favor of harsh, swift punishment. That doesn’t mean a man is “innocent” just because he hasn’t yet been proven guilty, even if more specific allegations are never aired. But there’s a difference between full-throatedly cheering on a movement and jumping to cheer at every new lopped-off head.